Solid CAM started out as a fully integrated CAD/CAM system. After many years of successful development, the founder, Dr. Emil Somekh, realized it was more efficient to focus on developing an integrated CAM system for SolidWorks and thus leverage all the power of the company to develop the CAM functionality and use the great import and CAD power of Solid Works. 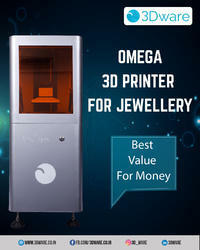 We are a top-notch organization, engaged in providing CAD CAM Machine. In order to meet excellent quality standards, we are supplying CAD CAM System. is a prime example of a well-coordinated system. It integrates digital technology and material science in an intuitive way to help dentists and labs improve their productivity while offering excellent oral care. Our reputed entity is engaged in supplying CAD/CAM System.